The oak tree is a classic symbol of British culture and tradition; oak leaves and acorns have been used as emblems by political parties and wildlife preservation societies and it was, and still is, so widely used as a building material that it is common feature of houses, old and new, throughout the country. 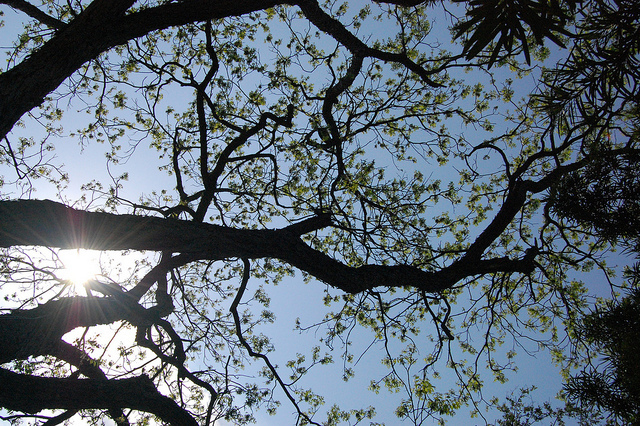 Oak trees are just one of a number of trees that are native to England and the English oak has long been prized for its extremely durable and beautiful wood. Traditionally, the most typical use of oak wood was as timber, particularly for shipbuilding. That said, you will also find plenty of oak used in house building and furniture throughout England. 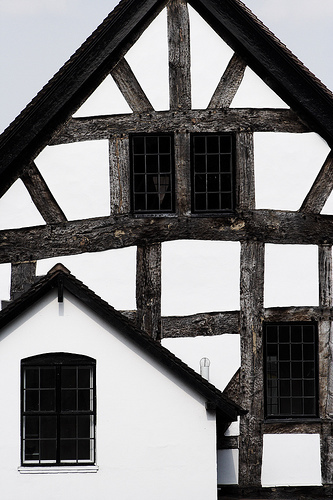 To do this day, one of the most familiar traditional building styles and one that is often thought of by tourists is that of the Tudor cottage, with its distinctive oak timber beams. It is so popular, in fact, that many modern houses are built to emulate the style but with cheaper materials made to look like the detailed aspects featured in traditional Tudor buildings. Oak was primarily used for these houses because of its incredible strength and resilience, and when it is combined with lime mortar, which allows the wood to ‘breathe’, what results is a building that can last for centuries, as has been proven by their survival till the present day. Oak trees have many other uses too. The acorns from oak trees are a rich food source for pigs and are used a lot by farmers. However, pigs are actually one of the relatively few creatures that can happily digest acorns; cows, horses and other livestock can actually be killed by ingesting too many acorns or other parts of oak trees because of its high tannin content. These tannins help the wood stay very resistant to insect and fungal attacks (another reason the wood is so useful for building) but they are poisonous to many animals. Oak is still commonly used for making furniture and its distinctive grain and dark colour are often associated with classical, antique designs. It fell out of fashion a while, with the rise of prefabricated furniture, which often uses lower quality wood. However, oak furniture is still loved by many for the personality that it has. Each piece of wood has its own character and history, evident in its deep, dark grains and hearty, natural colours. Antique oak furniture is very prevalent throughout England and abroad, with English oak considered to be among the finest in quality internationally. Guest author Charlie Jones is a frequent blogger who covers many topics including history and geography. Charlie was inspired to write this great great article for us after taking inspiration from Oak living furniture featured on www.nationalfurniture.co.uk.